There’s no doubt about it. Technology is a wonderful thing. Kids can text parents when they are ready to be picked up from school, play and learn on iPads during long waits at the doctor’s office, and extended families can see each other while chatting on Skype. But is it all coming at a cost far greater than the sticker price? In the span of one generation, childhood has been completely redefined. Classrooms have been replaced by computer labs, outdoor recesses with virtual Smartboard adventures, and after school antics in the backyard by video games on the couch. Well, before you resign yourself to the inevitable – kids who can’t tear themselves away from the screen – consider the following. 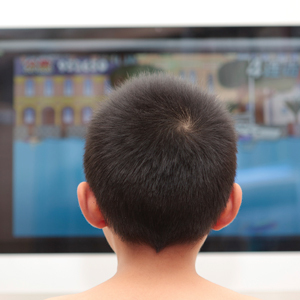 Susan Brown, assistant director at Commonwealth Parenting and child development expert, says she is completely convinced that limiting children’s screen time is crucial to our kids’ happiness and success. Working with approximately a hundred families a year, for a variety of different reasons, she always begins by asking, How much time does your child spend with screens? Brown claims most parents reply, Too much, probably! Or in other words, Brown clarifies, about two to four hours per day. She recommends no screen time during the week and limited time on weekends. While families are hesitant at first, Brown says they all eventually admit what a change it has made in the family. According to Jane M. Healy, author of Failure to Connect: How Computers Affect Our Children’s Minds – for Better and Worse, screen time shortchanges our children, as it draws them away from other developmentally important activities like reading, hobbies, and creative play. That’s why the American Academy of Pediatricians (AAP) recommends no screen time before the age of two, and less than one hour of screen time For older, school-aged children. That’s television, computer, and mobile device combined – per day. It’s not surprising, really, when you consider how easy we’ve made it for them to stay plugged in. The mini-van’s built in DVD player is the perfect example. Says Brown, “We have this notion that kids shouldn’t be bored.” Even short trips to the store are an Opportunity to pop in a DVD or catch an episode of Doc McStuffins. This in itself impacts child development in ways we can’t fully comprehend yet, as evidence suggests downtime is when most creative individuals generate their best ideas. Brown believes men and boys are particularly at risk for addiction to screens, as they are drawn to violence. According to the International Society for Research on Aggression, “Over the past fifty years, a large number of studies conducted around the world have shown that watching violent television, watching violent films, or playing violent video games increases the likelihood for aggressive behavior. This is true across studies using different methods, coming from different countries, and covering different time periods.” Why? Researchers believe media violence consumption triggers aggressive thoughts or feelings viewers are already feeling. Video games, in particular, fall under fire because of the interactive experience. The Center for Successful Parenting clarifies that a child playing Mortal Kombat “is not merely a spectator, he or she employs some type of input device [often a simulated firearm] to kill targets.” The experience is so realistic the US Military capitalizes on the advances in video games in order to virtually train Its soldiers in a cost-effective manner. Yet close to 140 million Americans played video or computer games in 2010, which is a rise of 241 percent since 2008. A multi-billion dollar advertising industry is built on the assumption that we’ll buy what they’re selling if they pitch it to us the right way. The fact that sexually explicit material is still somewhat limited during the family viewing hour (evenings from eight to nine) shows that our society believes overly sexual media content adversely affects our children. As parents, we must abandon our reluctance to admit the negative results of excessive media exposure. 1. Avoid screen time completely for children under two years old. 2. Limit screen time to one hour daily for school-aged children. 3. Schedule no screen hours for your child and yourself. 4. Create a common charging station and require hand held devices to be docked by a certain time each evening. 5. Know what your kids are watching and playing. Utilize sites like CommonSenseMedia.org if you don’t have time to preview movies, apps, and video games. 6. Discuss media content to prevent desensitization to violence and sexualization. 7. Remember, just because children like something, it doesn’t mean it is good for them.